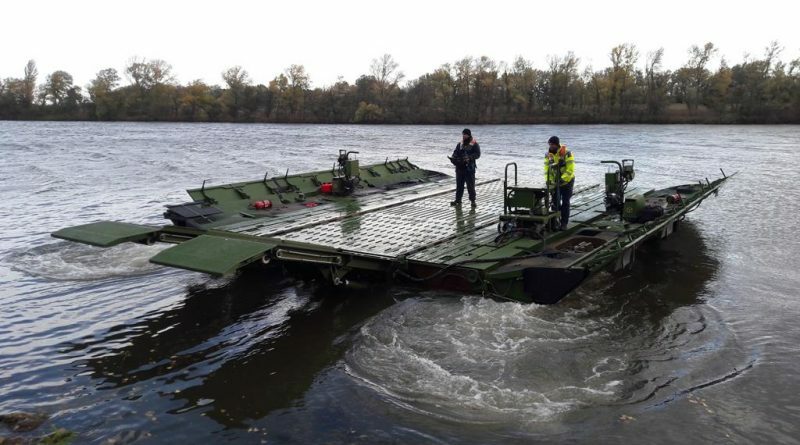 CNIM, the French engineering company, is delivering to the French Army the two prototypes of the upgraded PFM, the motorised floating bridge in service since the mid-1980s with the Armée de Terre. 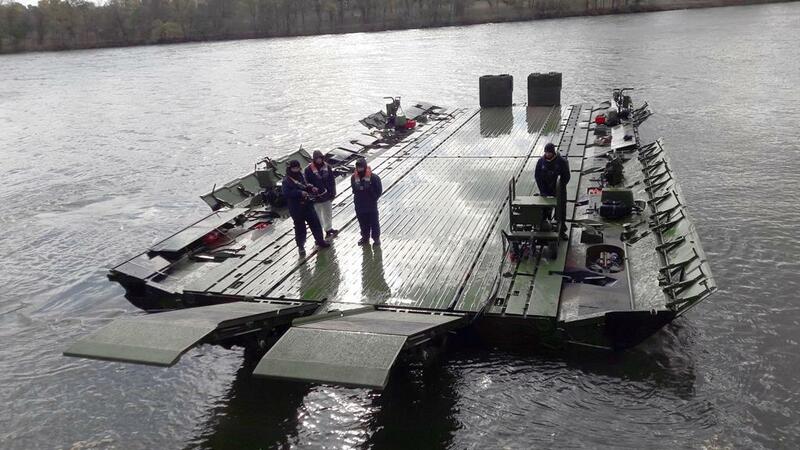 The PFM modules, which allow to quickly launch a bridge or floating pontoons, needed a complete overhaul, so the French Army and CNIM decided to adapt them to the new requirements, derived from the lessons learned of the latest missions. Air transportability, technical improvements, and manpower reduction were the key parameters. 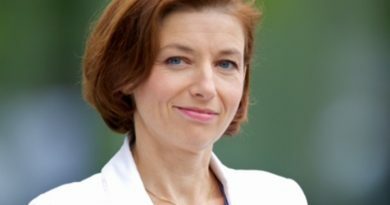 The overhaul was also needed to extend the system operational life and to ensure maximum reliability in case of disaster relief operations on the national territory, such as in case of a major flood, which is forecasted in the area of the Seine, a contingency plan known as “Plan Neptune” having been developed for reacting to such an event. To answer expeditionary requirements CNIM developed a new short ramp, which is fixed at the floating module extremity, the standard ramp occupies part of the module space, thus allowing to form an MLC 40 ferry using only two 10-meters long modules. This means that the logistic burden is halved, as only two trucks and two trailers are needed. These can be airlifted with a single Antonov An-124 Ruslan mission or with four A400M Atlas missions. The only limit of the short ramp is that the riverbank height must be less than one meter, to maintain the ramp angle within established limits. The overhaul will consist in the disassembly of the modules and in the replacement of a number of mechanical elements, giving back to the modules some 20 years operational life. Each PFM module was powered by two Yamaha 75 hp outboard motors; these are being replaced with more powerful 90 hp motors. To reduce manpower CNIM developed a wireless control system that allows a single operator to control both motors allowing to orient each of them and to trim the throttle independently. This also considerably improves the night operations capability, as in the past the action of the two operators had to be coordinated by a boat-master, who was giving visual orders to the two soldiers, something not always easy in darkness. Not only, when the two modules are linked together to form a ferry, a single operator can control all four outboard engines. 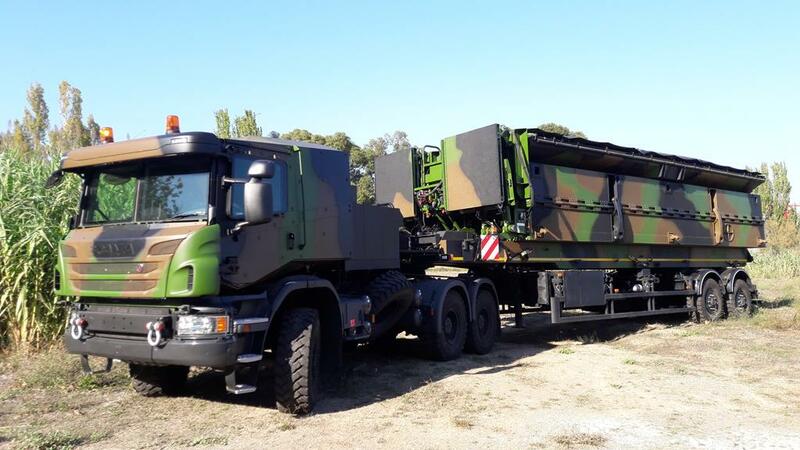 Moreover the PFM F2, this the name of the upgraded bridging system, is receiving new movers: old Renault TRM 1000 trucks are being replaced by new Scania P410 6×6 tractor, around 50% of them provided with an armoured cab to ensure crew protection when the system is deployed downrange. To further improve logistic flexibility in the PFM F2 the modules and launching elements can be installed over flatbeds, which are then lifted on the trailer, while in the past the launching elements were installed directly on the trucks. 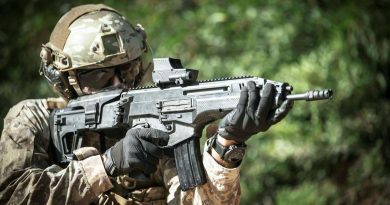 CNIM has finished the design phase and the prototypes construction, and is currently delivering the two prototypes to the 6th Engineer Regiment base in Angers that will use them for operational testing and evaluation. This will be followed by the qualification phase. 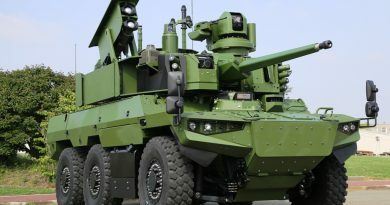 CNIM already received a number of modules from the Army; these will be disassembled and refurbished, the current contract including 20 modules, for a total of 200 meters bridge length. Conditional batches are included in the contract to modify up to 500 meters. The new system should become operational in the Armée de Terre engineer regiments in 2020. CNIM offers the French solution also to its other customers, Italy and Switzerland being the PFM users in Europe, Malaysia having also acquired the French bridging system, the company being involved in discussions with potential new customers. In its standard configuration the PFM allows to build bridges which can withstand MLC 70 tracked loads and MLC80 wheeled loads, the company having already developed technical solutions to increase the capability to MLC80 tracked loads.